Moira joined PHF in February 2015 from Arts Council England where she was Executive Director for London and the South East. 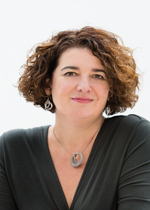 Moira is Chair of Clore Leadership. She is also Chair of East London Dance, the leading producer of creative dance experiences for the people of east London and beyond, and Vice-Chair of the London Mayor’s Cultural Leadership Board. She is a member of the European Foundation Centre’s Governing Council, the British Library Advisory Council and of the Arts Impact Fund’s Investment Committee. Before joining Arts Council in 2005, Moira was Director of Vital Arts, an arts and health charity. She has also worked in local government, and in theatre and production management. A graduate of Manchester University where she studied drama, Moira became a Clore Fellow in 2004/05. How might we use our power through the arts? What does it mean to be resilient in the arts?